People’s birthdays are great excuses. And since my workplace has a list of everybody’s birthday, they don’t even have a choice. I see the birthday, I make a cake. We often sing “Happy Birthday” because of me. I am not sorry. See all those people in the background of the photos. I love those people. And everybody loves cake. My favourite part of making the cake (apart from watching people enjoy it) is coming up with the flavour combinations. Pear bourbon caramel upside down cake. 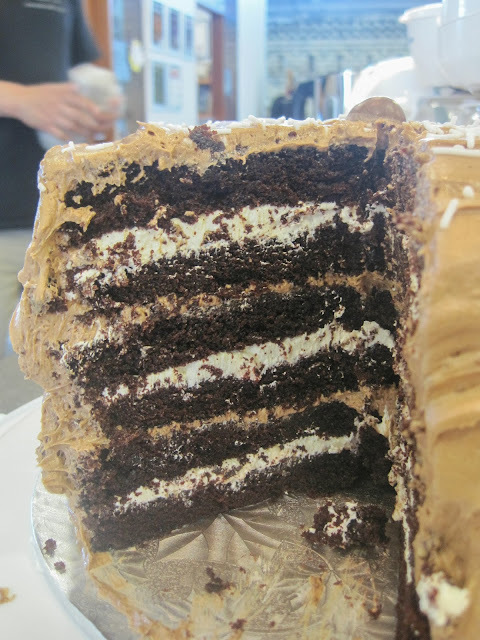 S’mores cake with graham cracker and toasted marshmallow buttercream. Starbucks salted caramel mocha cake with coffee buttercream, chocolate buttercream, and salted caramel buttercream. 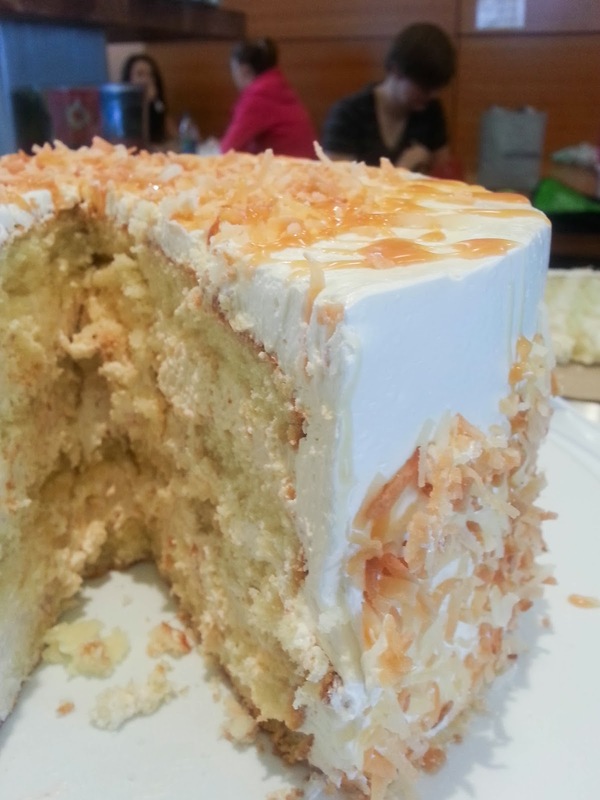 Vanilla coconut cake with toasted coconut and caramel buttercream. One thing making all these cakes has done is made me a frosting connoisseur of sorts, and my favourite by far is Italian meringue buttercream. 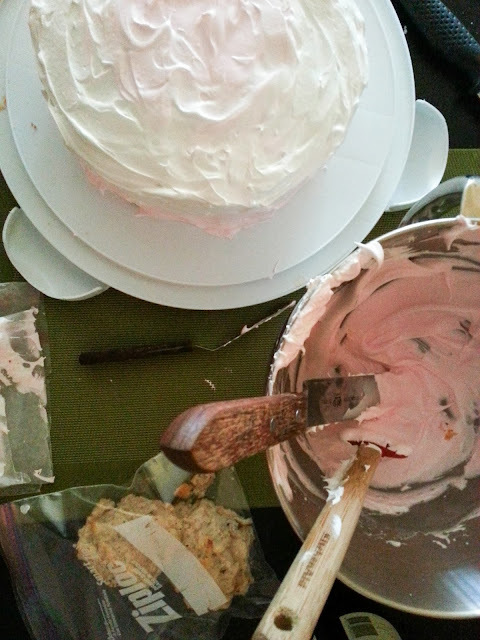 Despite having almost the same ratios of ingredients as Swiss meringue buttercream, I find it comes out lighter. And through multiple failures, I have perfected my technique for making it. I want to share that with you, because I care. It’s not difficult, but the details are important, which is why the recipe seems so long. Don’t be intimidated! When you’re ready to start, take the butter out of the refrigerator and cut it. I find this is a good amount of time to get it the perfect temperature for working with later. Pour sugar and water into a heavy bottomed saucepan fitted with a candy thermometer. Yes you need one, it is very important for this recipe. If your sugar is not hot enough, you will not get a stiff meringue, you will get soup. Over medium heat, melt the sugar with the water and let it boil until it reaches 248F. In the meantime, whip your egg whites with the cream of tartar to soft peaks. Still whipping, add the 1/4 cup sugar a little at a time until the whites form stiff peaks. If your sugar syrup is not ready yet, turn off the mixer. Once your sugar reaches 248F, turn your mixer on low. Pour the hot sugar into the meringue in a thin stream between the edge of the bowl and the whisk. If you pour too close to the whisk it will form strands around it. We don’t want that. Once all the sugar syrup is in, turn your mixer back on high and keep whipping the meringue until the bowl cools to room temp. This could take a while. Don’t be impatient. Once the bowl is cool, turn your mixture to medium-high. Add the cubes of butter one at a time mixing for a few seconds before adding the next. If your frosting separates at all just let it mix until it smoothes out again. This can happen if the butter is too warm or the meringue was still too warm when you started. Don’t throw it out! It will come together again. The reason I use a range of butter is that I find you often don’t need all the butter called for to make a frosting. I like to minimize the butter because I find this keeps the frosting lighter. Once you get to the last quarter of butter cubes (between 12 and 16oz) wait a bit longer between adding the next cube. Make sure your frosting is not separated at this point. I find there is usually a definite point when you see the mixture become frosting. It’s almost like magic. 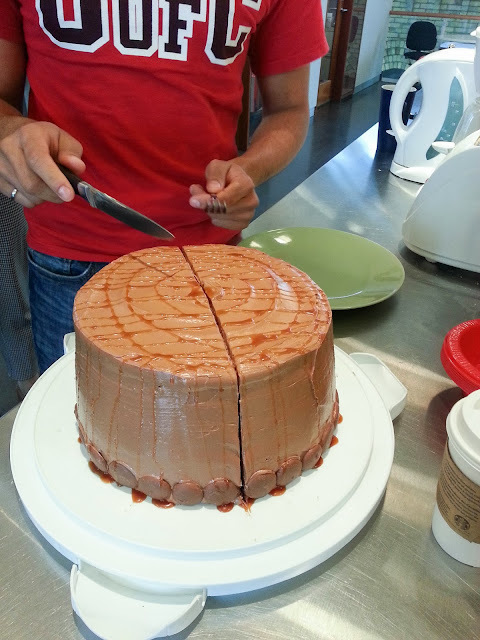 One moment it is a thick liquid, the next minute it becomes a frosting. Add the butter until you see this happen. If you don’t think you see a definite turning point, just check the consistency of the frosting. If it’s spreadable and doesn’t drip, you’re done. Once you reach this point, add the vanilla and whip the frosting on high for a couple more minutes to make it extra fluffy. This is your frosting base. 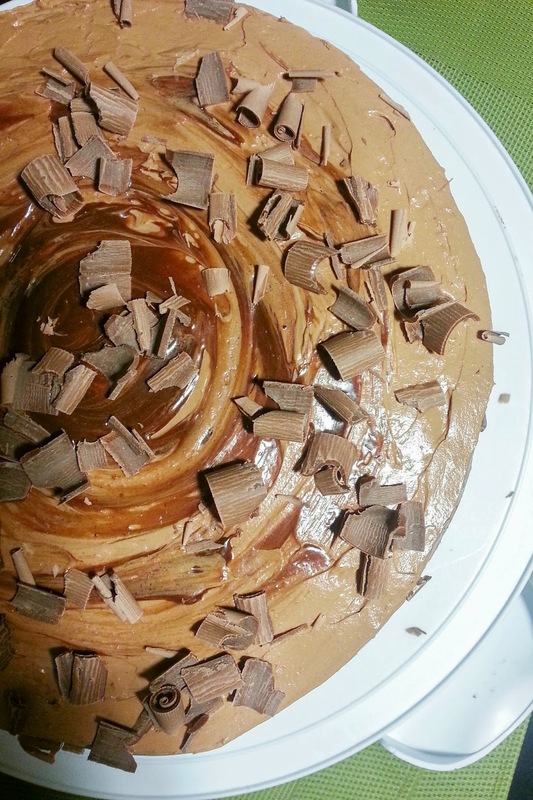 From here, you can add melted chocolate, caramel, pretty much any flavour you can think of to make any cake you want. The frosting will keep out of the fridge for a couple of days so you don’t HAVE to refrigerate your frosted cakes. I always leave mine frosted at room temp overnight. If you really want to refrigerate it, make sure to take it out 2 hours before serving to let it come to room temperature. The frosting will get hard and buttery if cold. 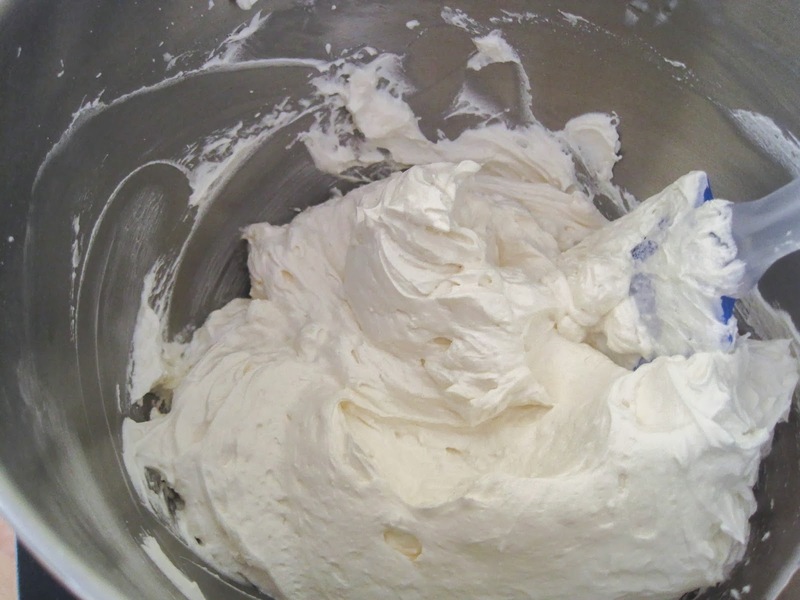 If refrigerating leftovers, whip with your mixer until fluffy again before using. It will likely separate before becoming fluffy again. Don’t lose heart, just keep mixing! This frosting freezes great! Thaw and then whip again as above.